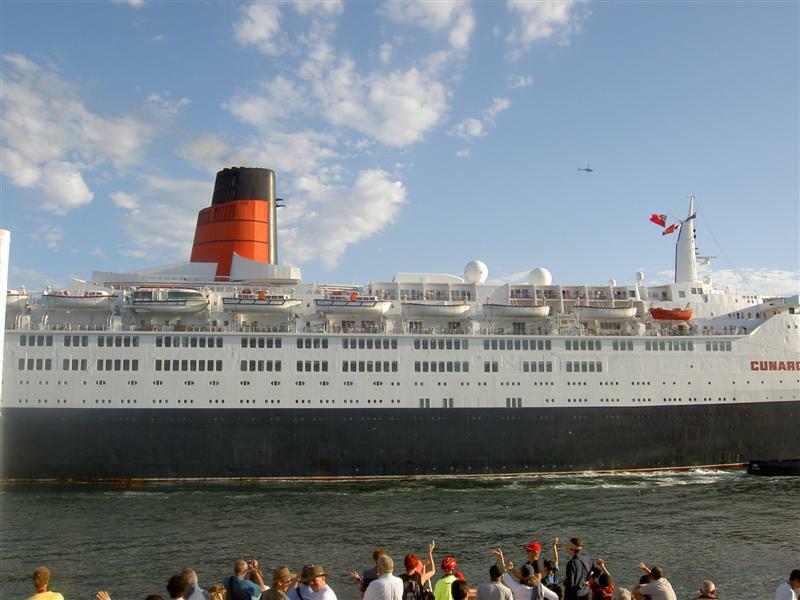 Thread: QE2 arrives in Fremantle for the last time. 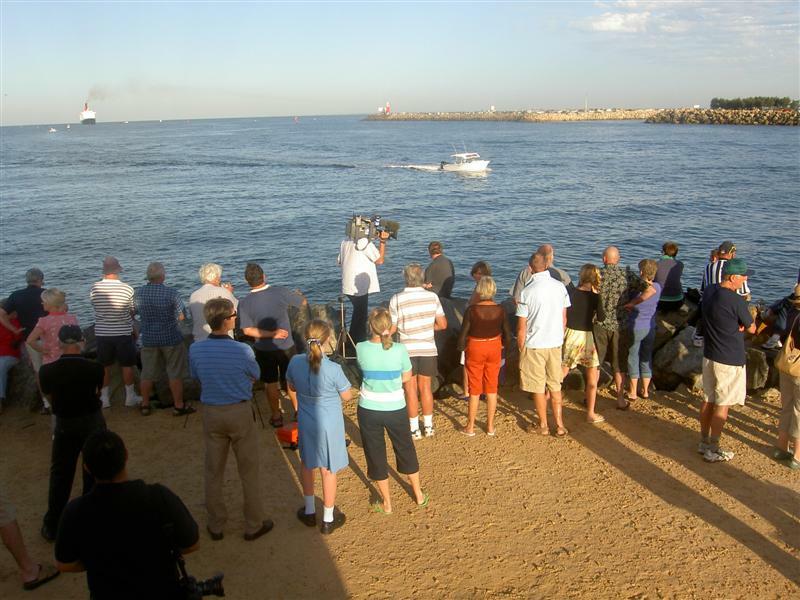 On the 5th march 2008 at 8.00am the QE2 sailed into Fremantle harbor for the last time before its decommissioning and delivery to Dubai ( Palm Jumeriah ) in November to be turned into a floating hotel and entertainment center. 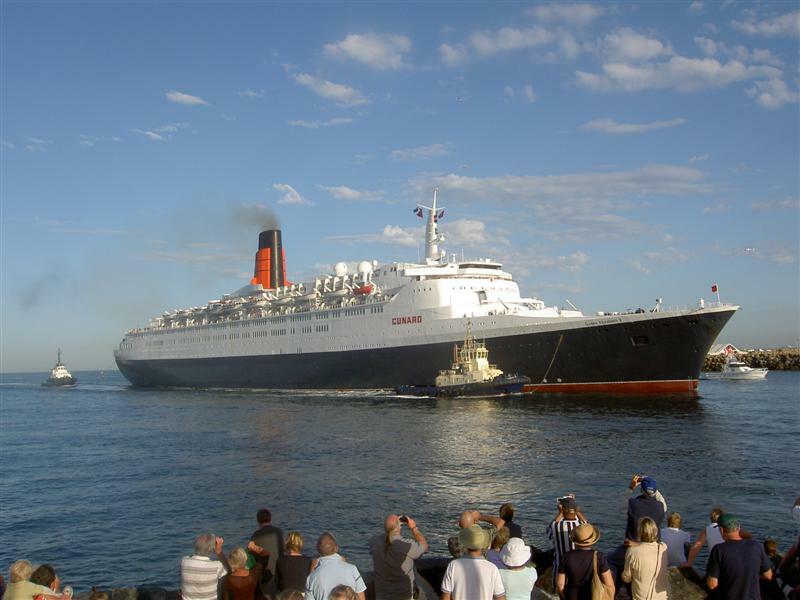 The QE2 made its maiden voyage in 1969, completed 25 world cruises, crossed the Atlantic 800 times , carried 2.5 million passengers and traveled 2 million miles. In 1982 it was converted to a troop carrier and was placed in service transporting troops to the Falkland Island's to fight the war against the Argentineans. Maybe some of you fellas have been on this boat and considering this was the last time it will ever been seen in my home port I thought I'd snap a few photos. This was a big deal and we had stunning weather on the day. This should of been the second picture. Nice pics. She is one classy lady and still a beauty even at her age. 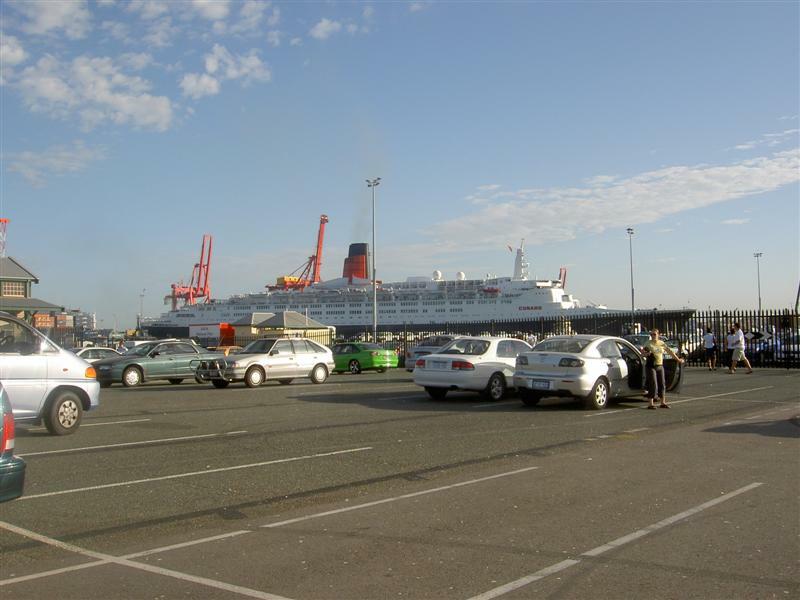 Considering that we have some incredible cruise ships passing through Fremantle the QE2 is showing its age with its classic designed cruising hull and lack of toys hanging of the side of it. It is still classed as one of the luxurious cruisers on the ocean so the interior must be stunning, unfortunately I will never know as its out of my league. Its a nice ship, but the interior is kinda tacky. Definately lost its edge compared to the new ships. 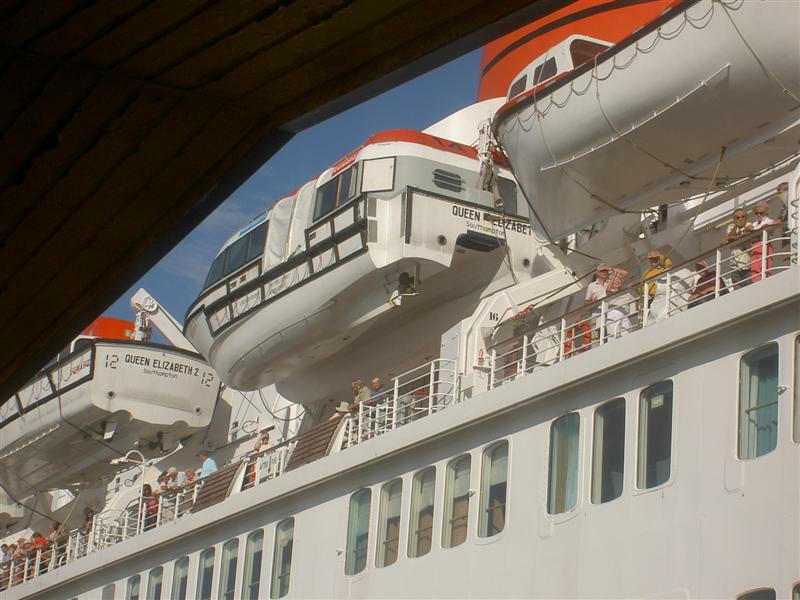 It might of been old but it was always sailing with a full passenger list and when I seen the people disembarking you could see they weren't stuck for a dollar. the interior must be stunning, unfortunately I will never know as its out of my league. Maybe they will have a fire in the galley that needs your attention. 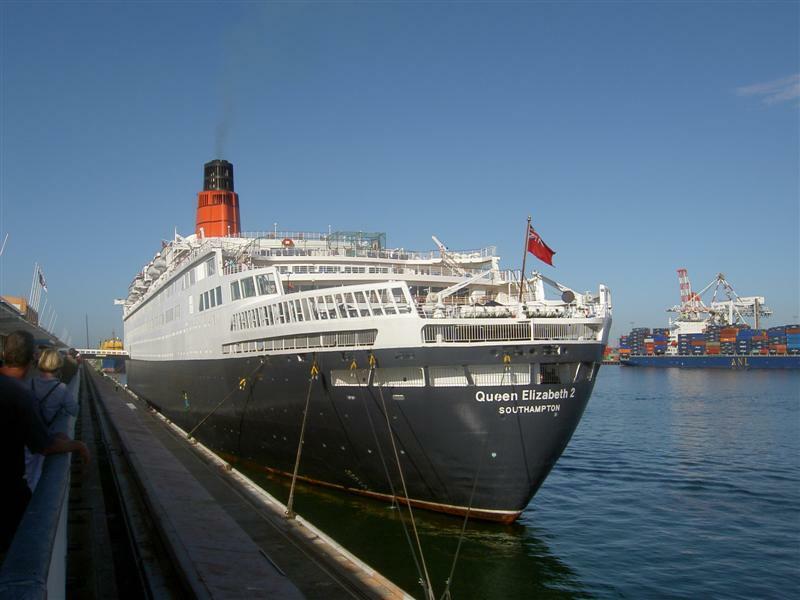 Funny you say that mate as I have had the pleasure of being invited onto large passenger liners to do fire inspections, we were well looked after and dined with the captain. 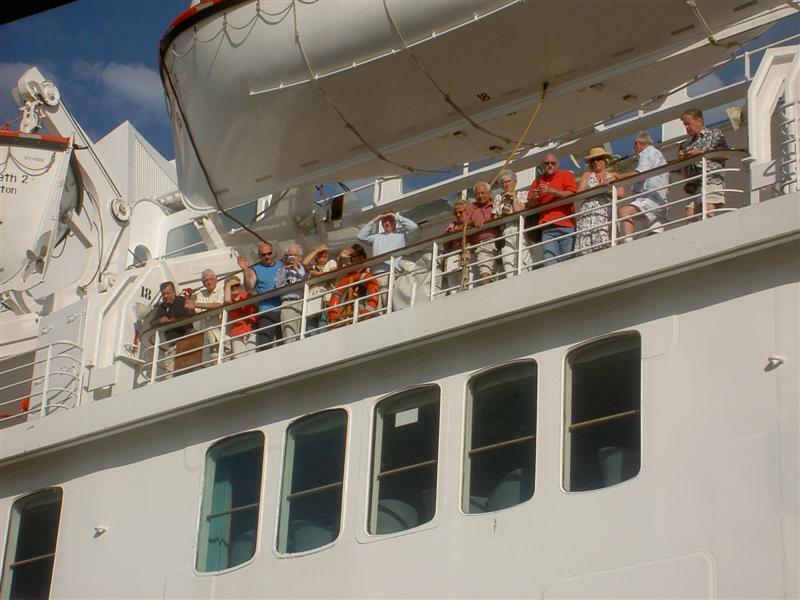 The people on land are waving, but there's noone on deck waving back ! They were taking footage for the night news cast and I was taking photos of them. 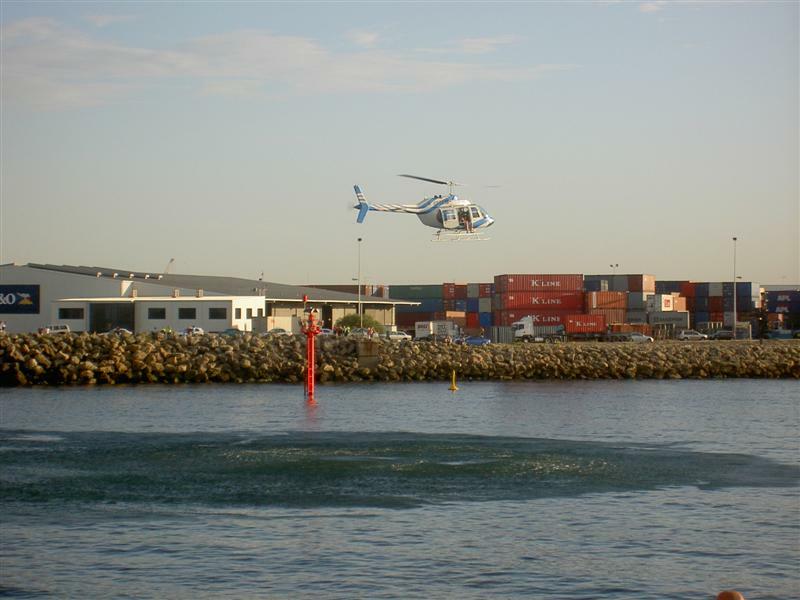 One of our new pilot boats. 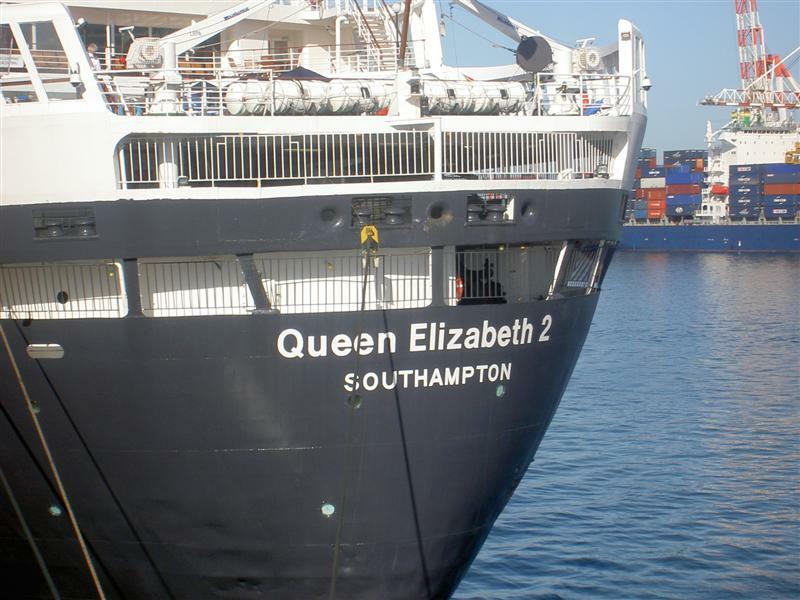 The QE2 birthing in the inner harbour. 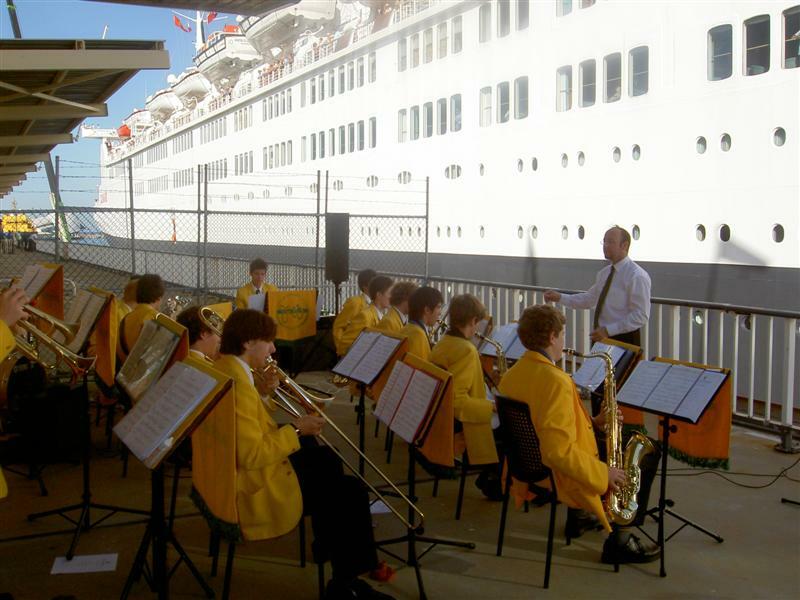 Fremantle CBC year 12 school boys big band. 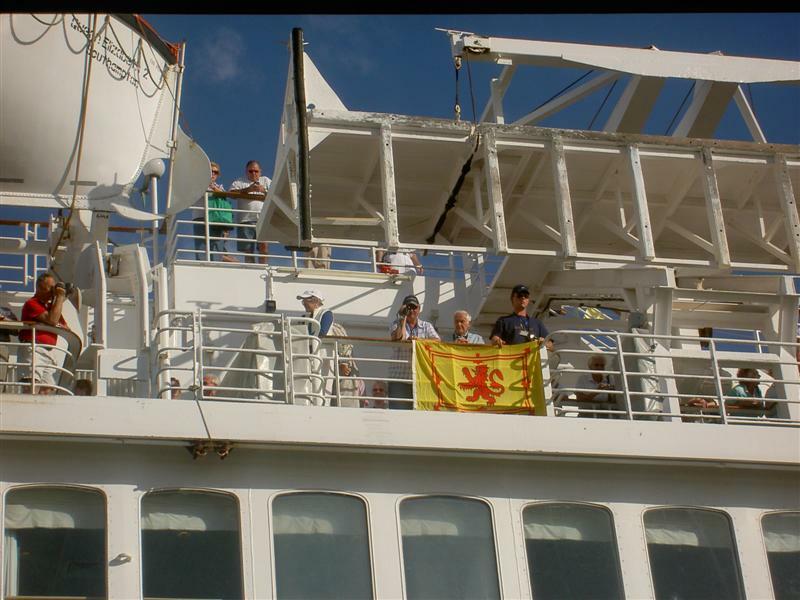 The QE2 was greeted at the port by this band, they were brilliant and the punters on the boat were well impressed, as were us locals. Some of the rich people looking down on us paupers. Theres a real good chance he had a " deep fried mars bar " in his pocket. Maybe he was just pleased to see you. 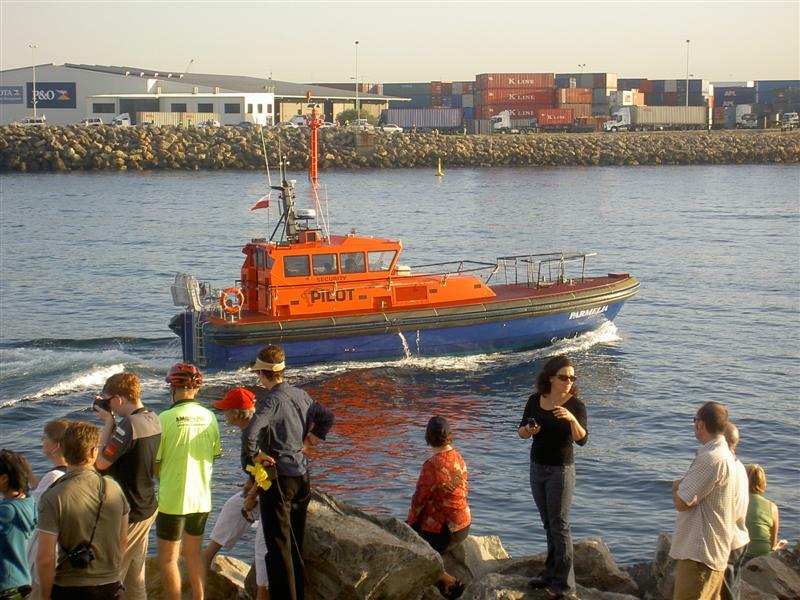 One of the numerous life boats. 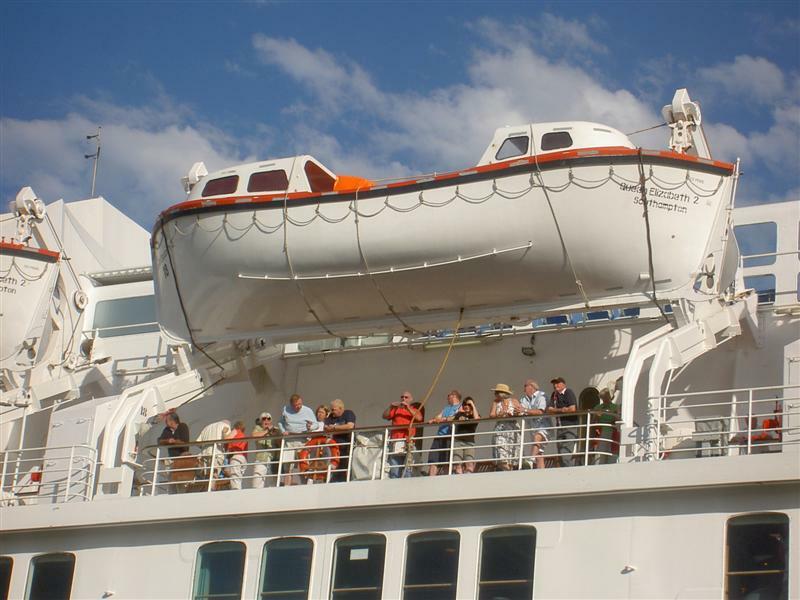 There were life boats hanging off every section of this boat and I'm sure they were still paranoid after the Titanic popped its clog's. 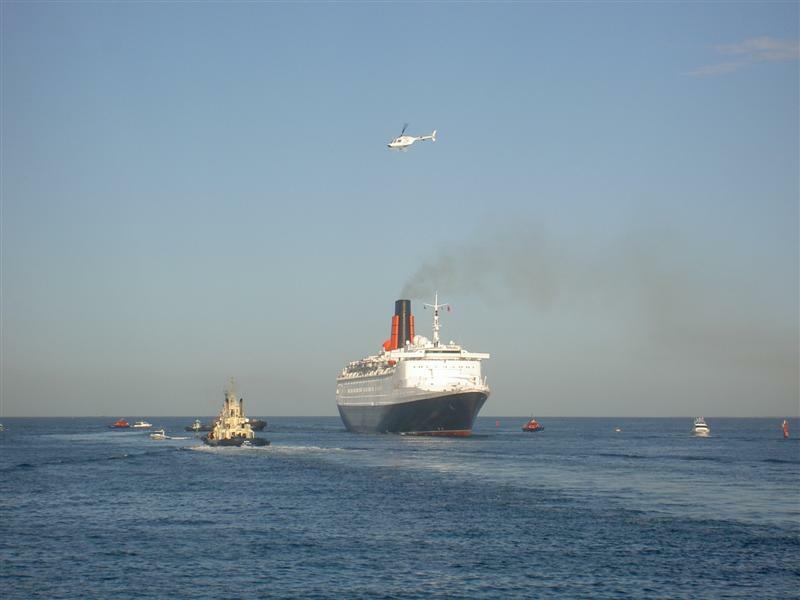 This photo was taken minutes after the QE2 had birthed. 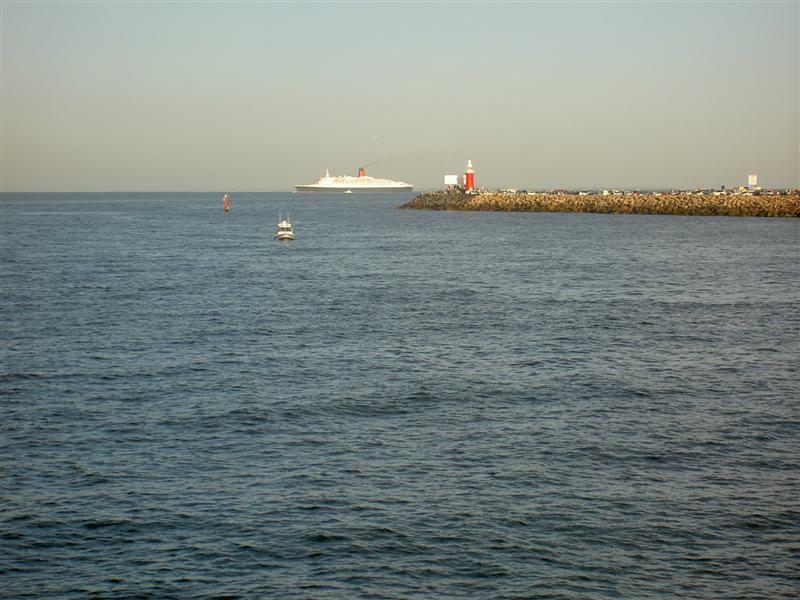 berthed, not birthed ! Thanks for photos anyway! Yes, sorry about that. Damn spell checker.